This class will be deleted after February 28, 2014. Used by NIViewRecycler to pool this view into a group of similar recycled views. 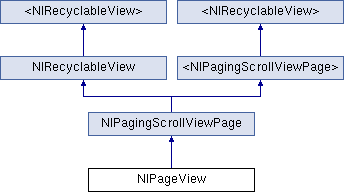 Initializes a newly allocated view with the given reuse identifier. reuseIdentifier The identifier that will be used to group this view in the view recycler.